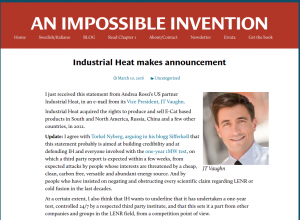 #IndustrialHeat under Fierce Attack from #Trolls and #Pathosceptics due to #LENR Investments? Recently Mats Lewan recieved the following email from JT Vaughn at IH. My interpretation of the statement is that IH (and everyone involved on a personal level) probably is under fierce attacks from all kinds of random weirdos, trolls and pathosceptics. Most of them only stupid, but some of them I’m sure have a bigger agenda. 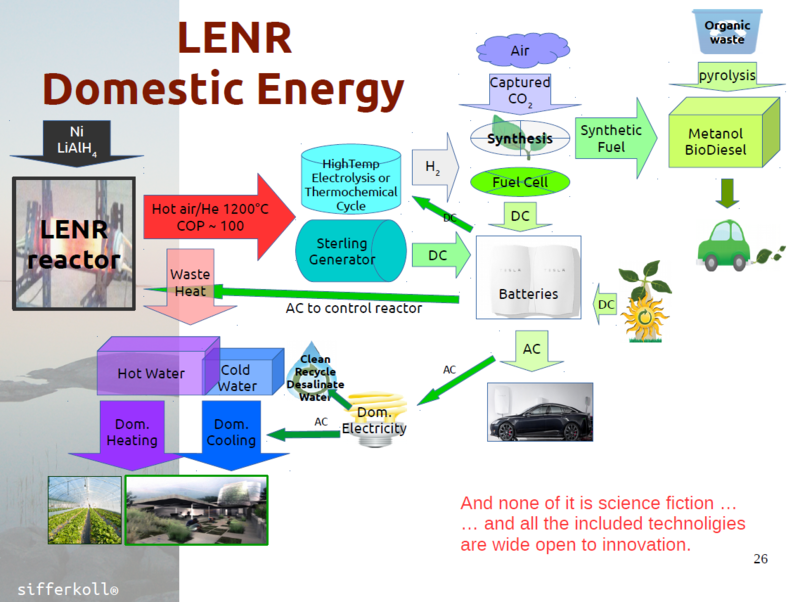 The “long and continuing pattern of premature proclamations” obviously relates to 27 years of thourogh and deliberate miscrediting of everything and everyone related to cold fusion and LENR put into action mostly by the skin-in-the-game academic reasearch community spread by the corrupt presstitutes from the so called respected academic journals and borderline MSM like Nature and Popular Science. Open-minded sceptisim is exactly what all of the above are lacking. There is no question about that technological advances have been stifled due to these academic and media powers. They are indirectly responsible for the suffering/death of millions of people that otherwise could have been reduced. Will they be held responsible? Of course not. Not any more than the politician/bankers that created the financial mortgage meltdown some years ago. Knows the result of the 350 day test is positive and that the third party report will leave no doubt. However there is no doubt either that everyone that has had anything to do with with the report will be attacked. Even on a personal level. We will see massive discrediting down to the level of spelling errors and old speeding tickets. Our portfolio of work has never been stronger and we remain excited about the potential we see. On a positive note. Maybe it all comes down to fear of change, fear of the unkown. On the paper people seam to like change and innovation, but when confronted with it in the real world they will voted it down by a clear majority, due to mostly hate of the people bringing it to them and fear of the consequences it brings. Sad it is, but at least better than the criminal alternatives. Finally they might change signs in their excel models and call for preventing a new ice age instead … That will work … oxygen tax … taxing the trees … Well. Maybe not, but they will find another fear to capitalize on. For sure. Great analysis. I agree that it seems at this point highly probable (to say the least) that the 350 day test was a significant success. The arguments we hear to the contrary are at least at present unpersuasive, while the “leaked” indications of those with any first hand or second hand knowledge confirm that the results were a success. How exactly that is to be defined remains to be seen.